Pro-dubbed tapes, double-sided j-card, inlays. Out of stock, you can order it directly from the label. "This release is hard to pin down. 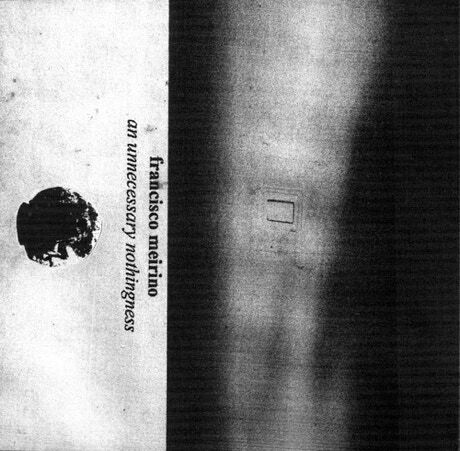 Francsico Meirino flawlessly mixes concrete field recordings with the most abstract sounds gathered from the field recordings themselves, but also from failing electronics, magnetic fields, room acoustics, raw drones. Francisco is nothing if not a virtuoso of source material. This is a journey through a shapeless world."